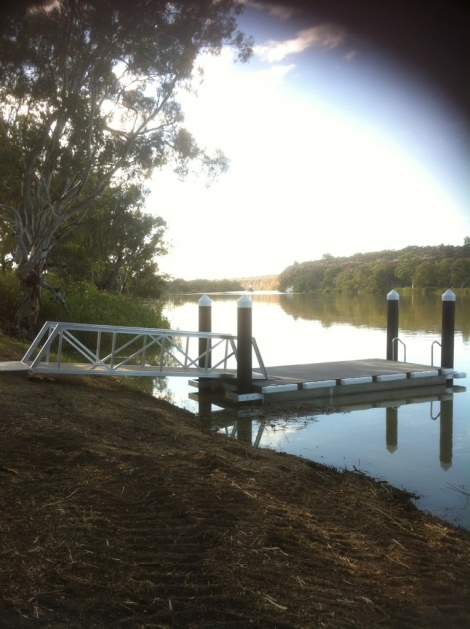 Aluminium walkway and pontoon was designed and constructed by Dynamic Dredging using marine grade aluminium. The internal specifications of the pontoon consists of 10 separate sealed compartments. All sections have stiffeners throughout including bulkheads. The pontoon is a totally sealed unit. This pontoon has a swim deck on the river end.